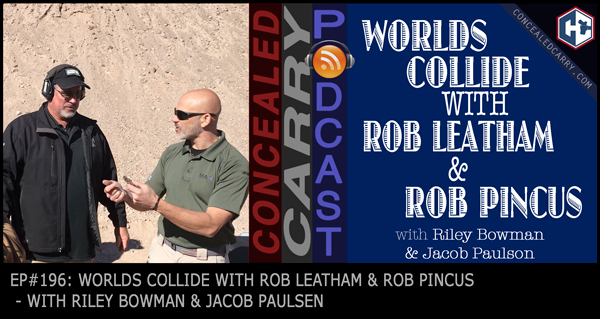 Today's episode brings to you an interview that Riley conducted with Rob Leatham and Rob Pincus while at the Springfield Armory booth during SHOT Show 2018. They debate the similarities and differences between being one of the greatest shooters of all time and a world renowned defensive handgun instructors. Click PLAY above to listen to this fascinating and entertaining interview!